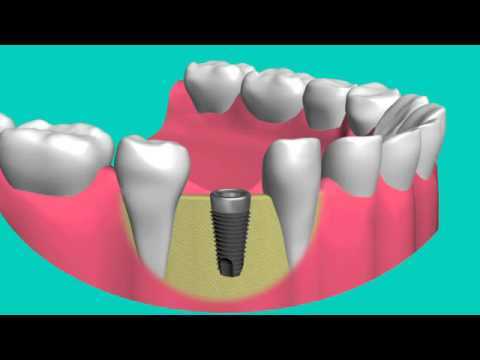 There are many factors that affect dental implants cost in Sun Prairie, WI. Dental implants are the leading treatment for tooth loss but the needs and preferences of our patients varies widely. Here are some factors to think about when considering dental implants with Dr. Chris Stevens. Dental implants are priced individually, which means that a patient who wants to replace one missing tooth will pay considerably less for dental care and materials than patients who need to replace 10 teeth. Also, if you have several missing teeth to replace, Dr. Stevens will be spending more time examining your mouth to find areas where the bone is still strong enough to support the implants. Dental implants are designed to fuse to the jaw bone the same way that tooth roots do. If you have diminished bone density, you may need a separate procedure that will restore your bone density before Dr. Stevens can place the dental implants. What Type of Procedure is Necessary? Dental implants can be used in a variety of ways to replace missing teeth and each procedure is priced differently. We can use implants to improve the fit and function of dentures and bridges or place them in the exact areas where teeth are missing. Patients who are missing teeth in the upper premolar or molar regions will sometimes require a sinus lift procedure before dental implants can be placed. A sinus lift procedure is an additional cost. Periodontal disease is a common condition among patients with missing teeth. If Dr. Stevens detects gum disease, dental implants should not be placed until it is treated, which will affect costs. Do Teeth Need to be Extracted? If you are experiencing tooth pain or other symptoms, then you may have teeth that need to be extracted before dental implant surgery. Extractions are procedures that are often billed separately.